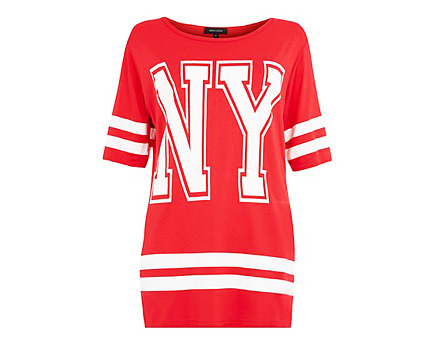 This boyfriend style baseball tee is perfect for working the varsity trend with a pair of disco pants and hi-tops. 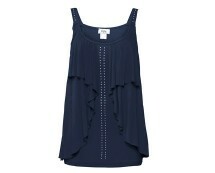 Flamenco meets rock chic with this ruffle front sleeveless top that features metal studding! Length approx. 68 cm. 96% viscose, 4% elastane. 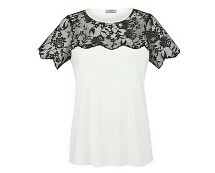 This string strappy top is a must have this season. It's eye-catching and can be worn with leggings or jeans; dress up with heels or flats. If you want all the latest trends, this burnout t-shirt is great place to start. 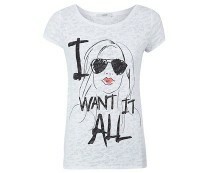 Featuring an artist style slogan print to the front, this tee is cut with a dipped hem for an on-trend laidback look.